Pomona College is a member of The Claremont Colleges, a consortium that includes Claremont McKenna, Harvey Mudd, Pitzer, and Scripps Colleges. The consortium is a unique grouping, allowing for optimal use of resources shared between the schools. All five colleges have their own campuses, adjacent to one another, each with individual styles of architecture and distinct missions. The colleges are located 30 miles east of downtown Los Angeles. 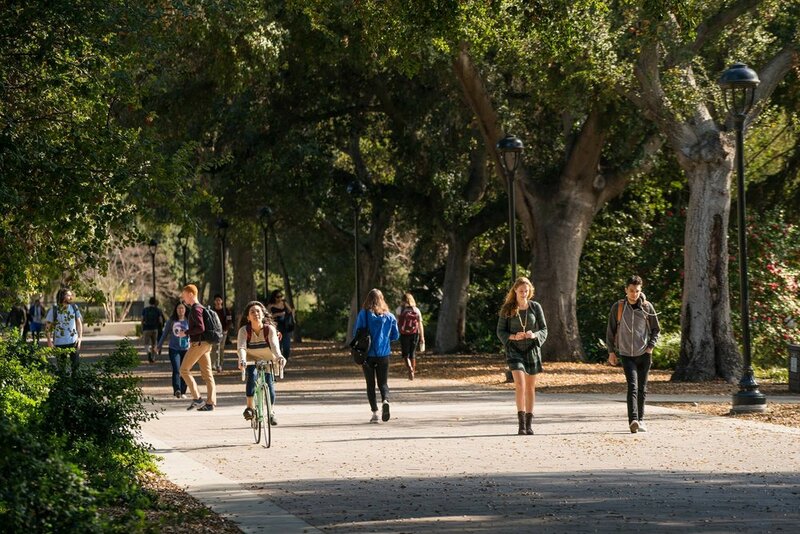 Located in the quaint college town of Claremont, Pomona College is the oldest of the Claremont Colleges consortium. The campus is scattered with Mission Style buildings and grassy quads surrounded by 400 year old oak trees. 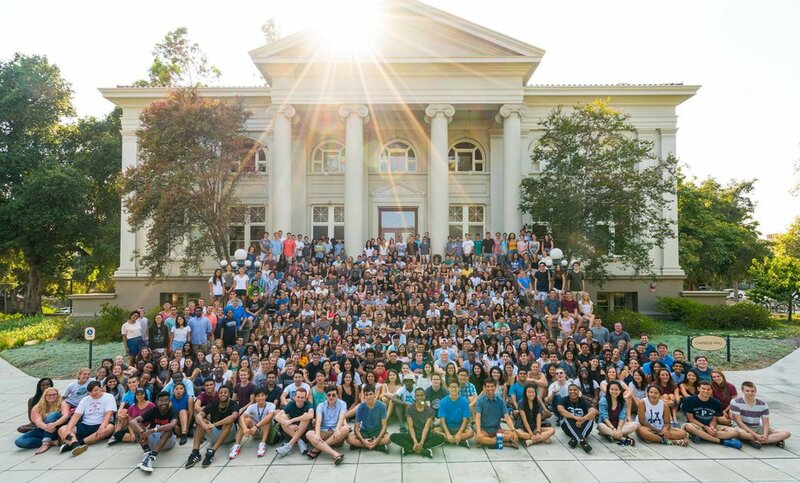 As the largest college in the consortium, Pomona attracts students looking for a liberal arts education coupled with a kind and accepting atmosphere. Located in the quaint college town of Claremont, Pomona College is the oldest of the Claremont Colleges consortium. The campus is scattered with Mission Style buildings and grassy quads surrounded by 400 year old oak trees. As the largest college in the consortium, Pomona attracts students looking for a liberal arts education coupled with a kind and accepting atmosphere. Lunch:Located at the northeast tip of the campuses, the Pitzer's Grove House serves great sandwiches and salads. The national chain, Le Pain Quotidien, has a spot in the village. Everyone loves Dr. Grubb’s, serving health minded cuisine to a packed house. Crepes de Paris is good not just for their crepes, but also for their sandwiches and salads. Students fill up on falafels and shawarma at Saca’s Mediterranean Restaurant. Just toured the Pomona College? Are you a Pomona College student, parent or Alumni? Fill out this 2 minute survey to supplement our Daytripper University Guide for Pomona College!